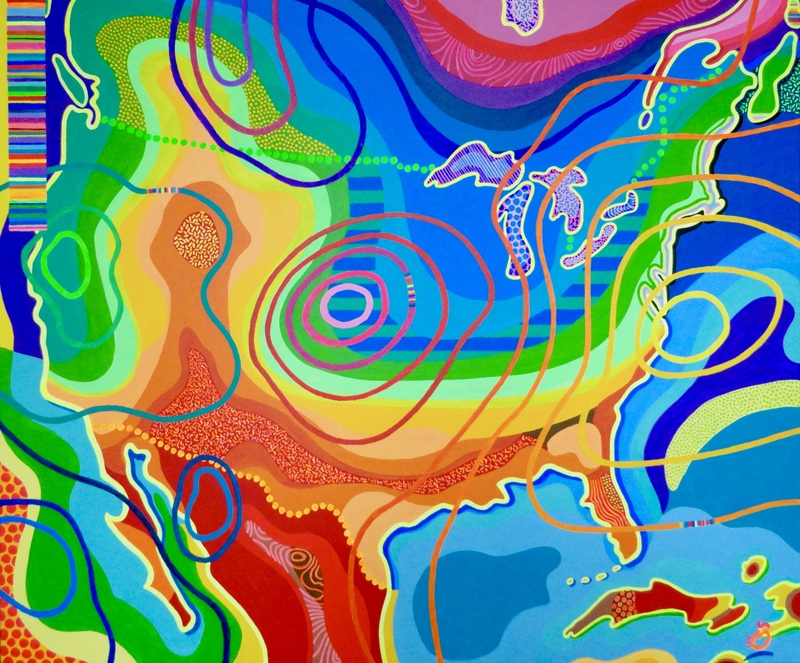 This Weathermap of the United States shows a wide variety of colors. Fact is, we are talking about spring time. During that period of time some Northern states still have low temperatures, while some States in the South already enjoy a real summer. This Weathermap is inspired on the weather situation on April 28th, 2016. That particular day gave me enough weather/temperature extremes to create Weathermap “USA in Spring”.